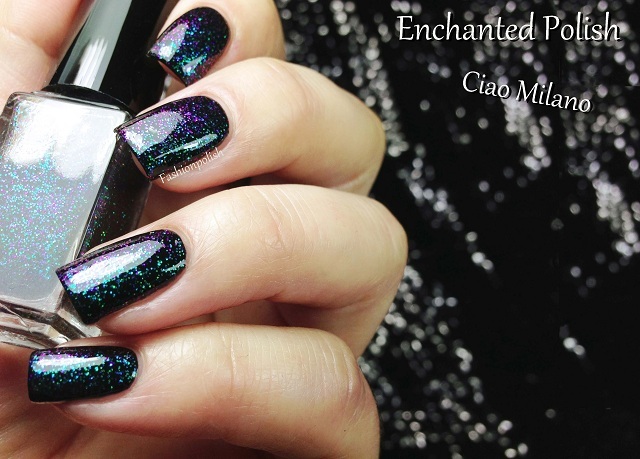 Fashion Polish: Enchanted Polish Big City Lights! 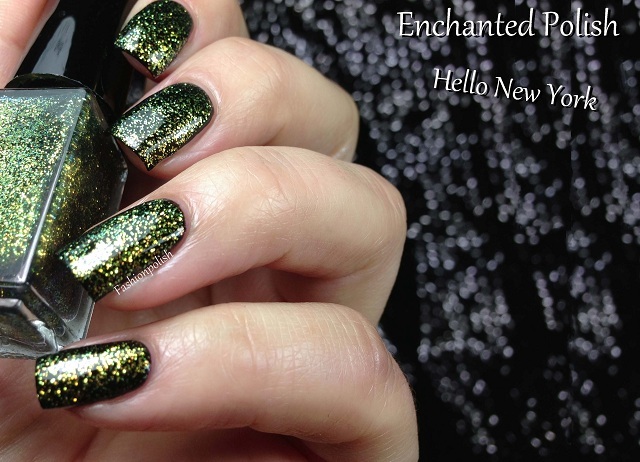 Enchanted Polish Big City Lights! I think I've made it pretty clear in the past how much I love duochromes and multichromes. 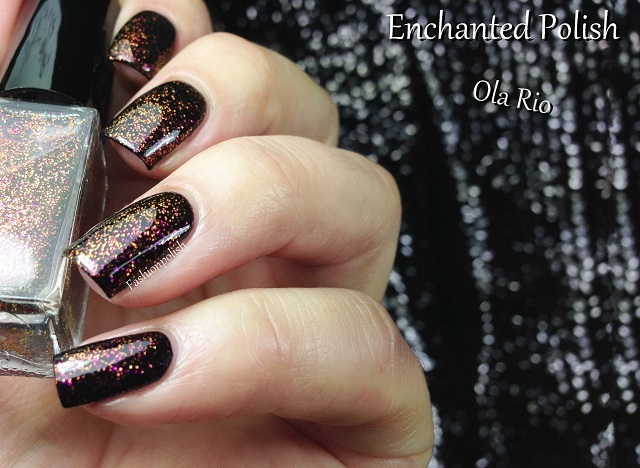 If you're anything like me, Enchanted Polish is the brand you need to look into and the Big City Lights is the collection you need for a dose of massive multichromilicious glitterness! Bonjour Paris, Ciao Milano, Ola Rio and Hello New York all applied evenly and I only needed one coat over black for these swatches. 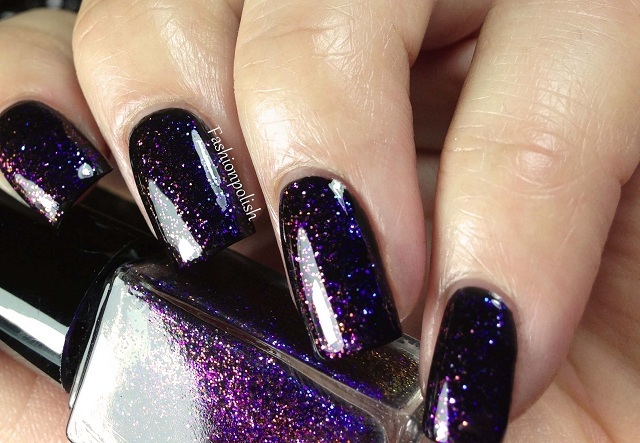 Their clear base allow many layering possibilities but black really makes the color shifting effect to pop and wow they really do pop! Wooooow awesome pics! I love the background too! My favorite is Ciao Milano! Oh my. These are all stunning! BEAUTIFUL photos! They are stunning! Gorgeous polishes and your photos are great. Oh, you've got me at Bonjour :D I love them all but Bonjour Paris is my favorite! 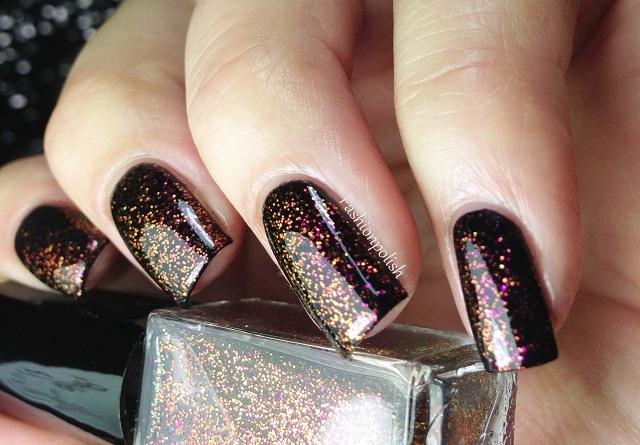 Mmmm, beautiful polishes and fab pics. omg, they are sooo amazing! I do not know if were your photos, or if the enamel is really beautiful! OMG all of these are beautiful!!! Ciao Milano is amazing! 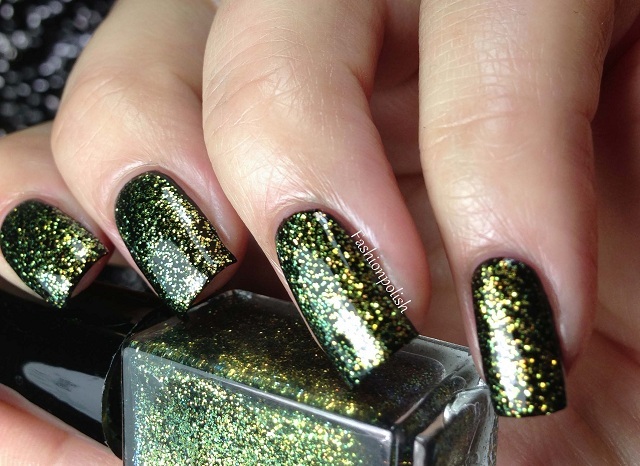 Gorgeous glitter, love the first one! Love love love ciao millano en hello new york! These are all so beautiful! I think Ciao Milano has to be my favorite though. You always take the best photos. These polishes are divine! I own all of these, and they are all beautiful. But Hello New York? Oh. My. Gawd. No picture can accurately convey the divinity of Hello New York in real life.